2018 Medica，Welcome to visit SINOHEROMED in Hall16 A02! home > > News Release > 2018 Medica | Welcome to visit SINOHEROMED in Hall16 A02! 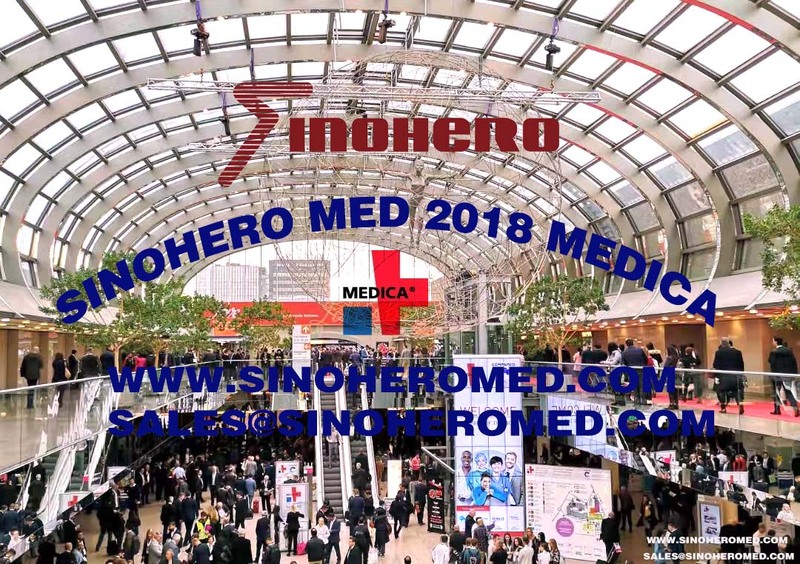 2018 Medica | Welcome to visit SINOHEROMED in Hall16 A02! 2018 German Medica was held in Dusseldorf on the 12th to 15th, November. As one of the exhibitors, SINOHERO has arrived at the scene now! 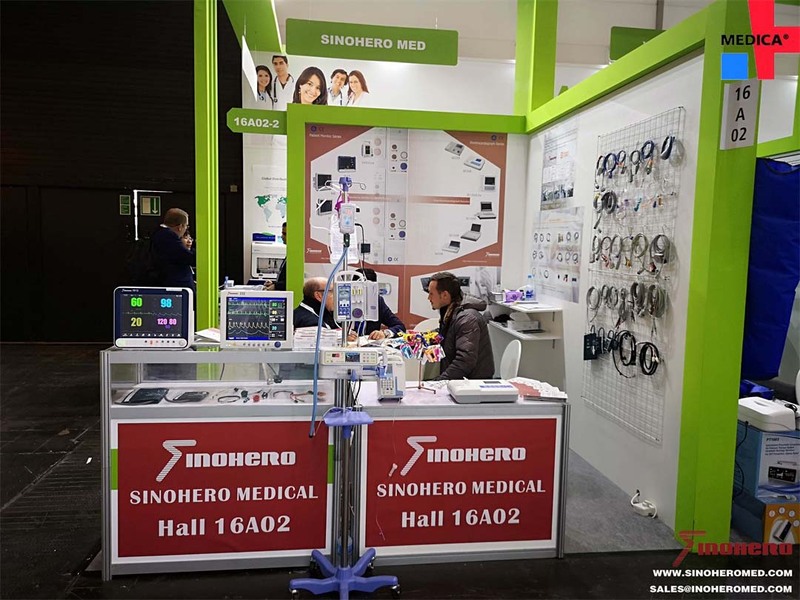 SINOHERO mainly exhibited products such as Electrocardiograph, Patient monitor, syringe and infusion pump, ultrasound and other medical equipment, as well as various medical consumables and accessories. As a professional medical equipment supplier, SINOHERO will definitely bring you high quality and satisfactory products. Come and visit our booth at Hall16 A02! Our professional staff will be there to serve you. The following pictures about our Site conditions. prev：2019 Arab Health | Hope to meet you in booth Rashid Hall J50-3.